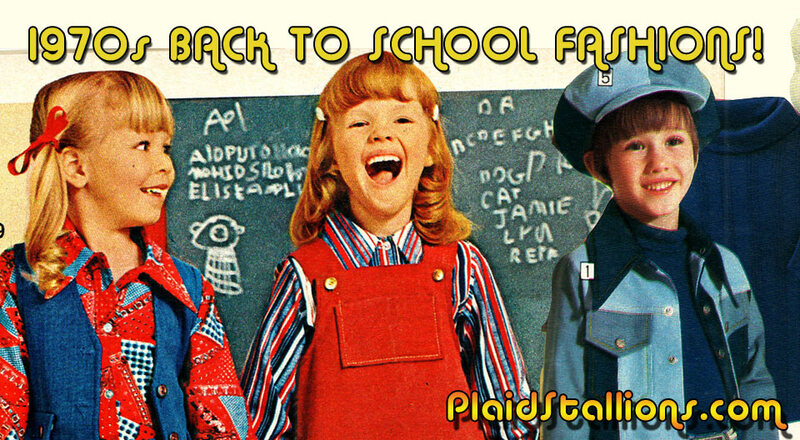 Plaidstallions 1970s Back To School Fashion Spectacular! One of the biggest downers of the summer ending is back to school shopping, getting dragged from (Non Toy) store to store, forced to try things on, it's more than your seven year old mind can take. 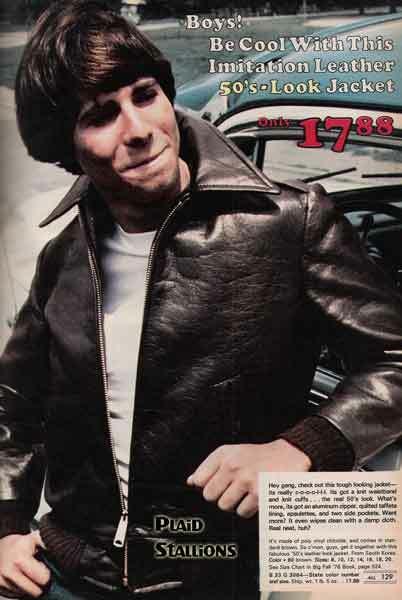 That's why I've prepared this handy trip down memory lane, once your children see what we had to endure, they'll count their blessings and think twice before complaining. 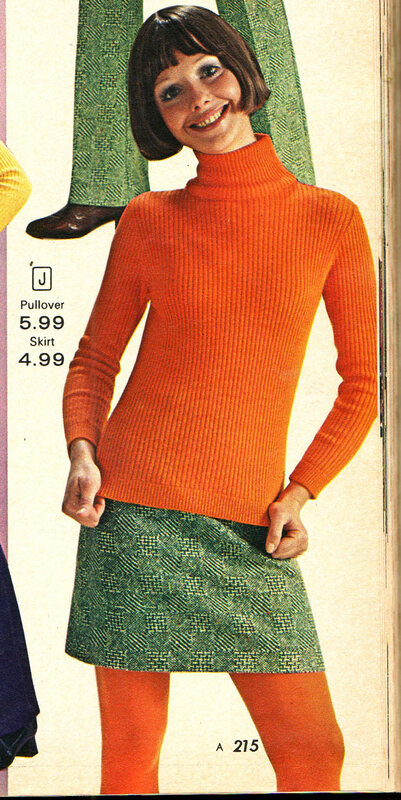 "Shaggy, Scooby, Please help Velma find her glasses!" 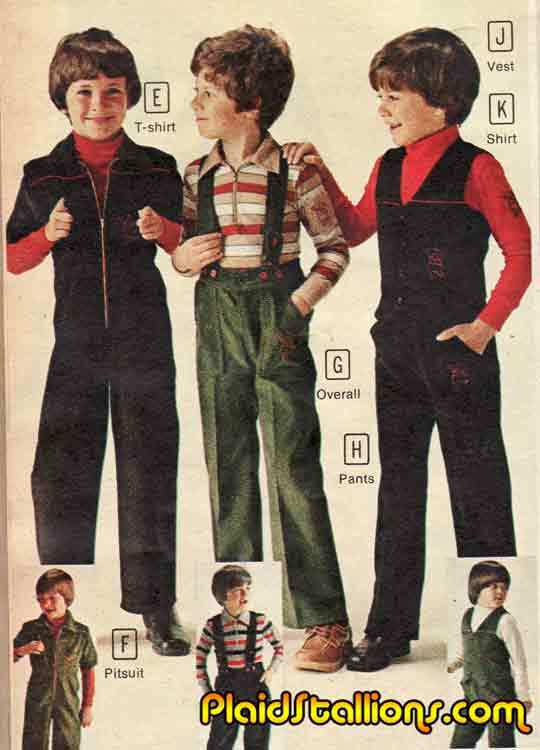 It must have been a golden age for the vest industry as every third kid had one. 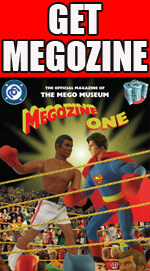 Damn you Little House on the Prairie! Look out Junior prom, the braces are finally off! 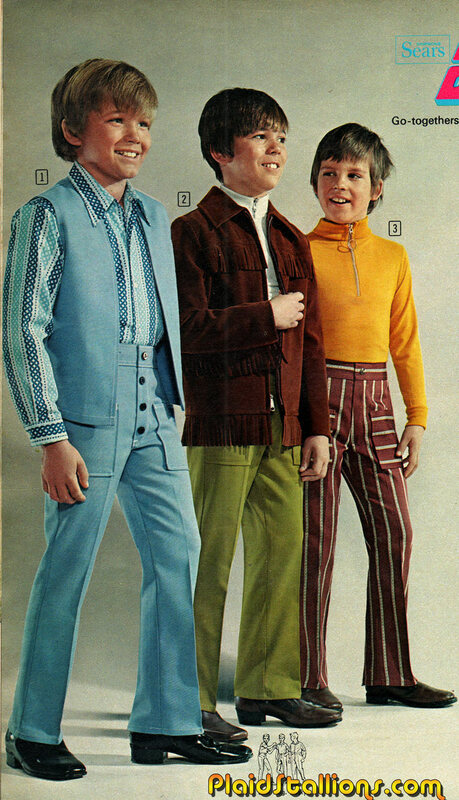 This photo coins the phrase "Beagle Vest" and the world was never quite the same. 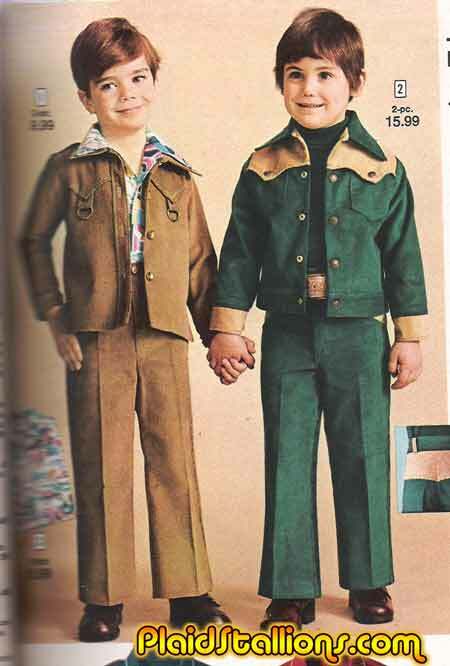 The "Lee Majors Collection for boys" was a hot item in 1975. 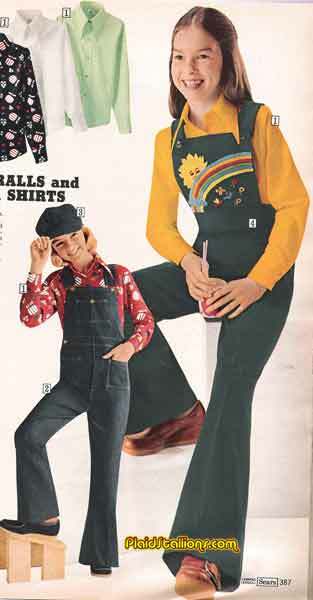 Lest we forget overalls were a thing. 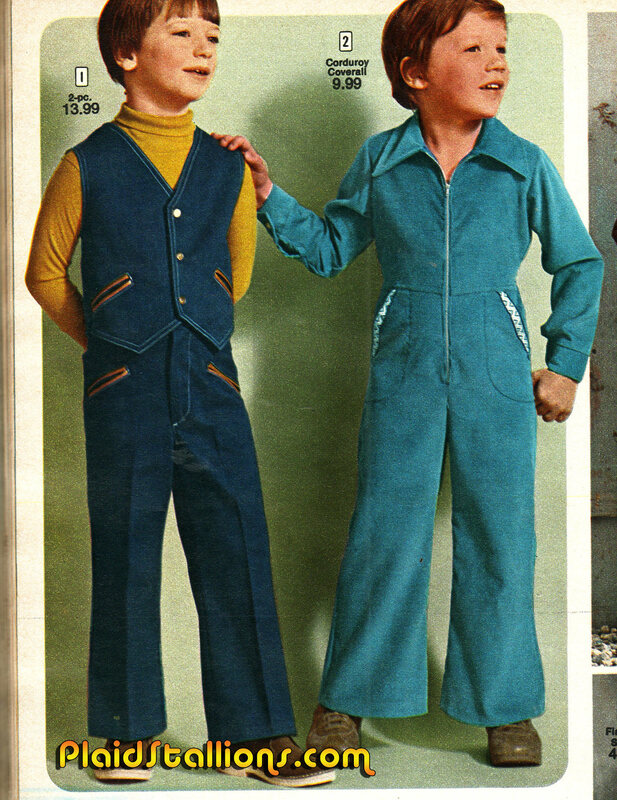 The mixing of corduroys with jumpsuits is warned in revelations. 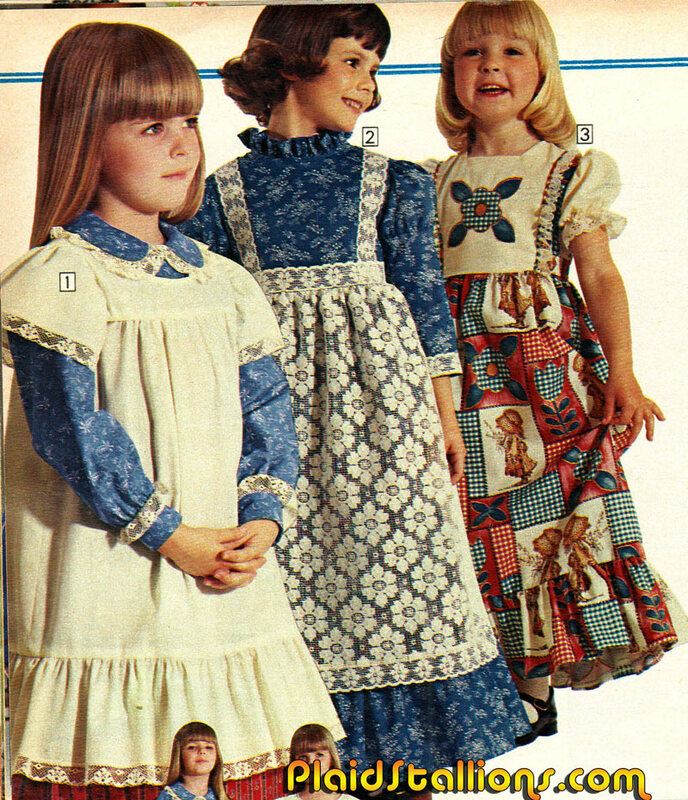 The short sleeved jumpsuit luckily did not follow us in the 1980s. 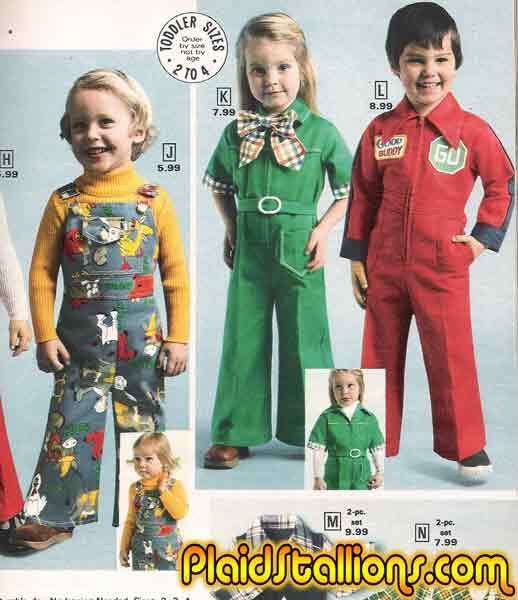 So many of you have written me about having the Hee-Haw overalls since I first posted them, I can't get over how few were scarred. 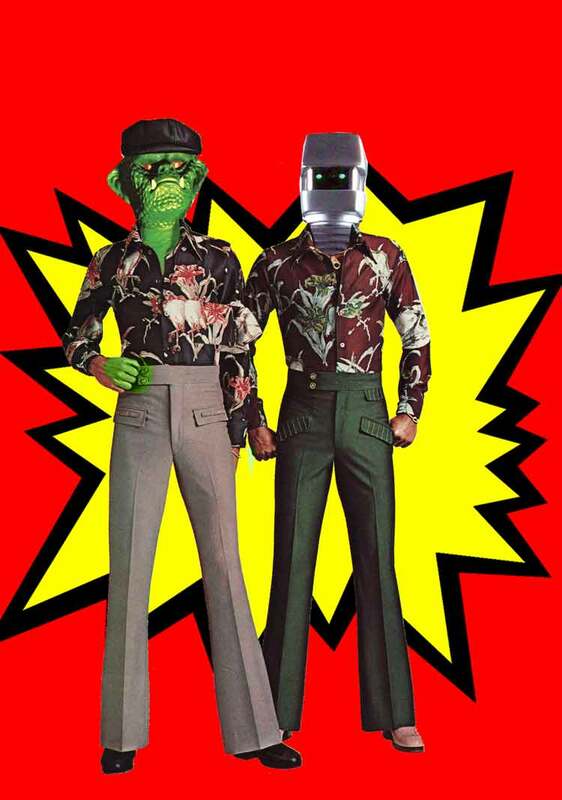 The only time my particpation level at back to school shopping as a kid reached a level about "Passive Aggressive compliance" was when it came to picking a new iron on T Shirt, that was serious freaking business.